Click to visit the Instagram page. Food isn't just food, it's nourishment, culture, community, and a livelihood! This is the idea my 2 teammates, Victoria, Jamie, and I had in mind when we first started this month long project interviewing and recording the owners of Canra Sri Lankan Plus, our favourite food court stall in the International Village Plaza mall. 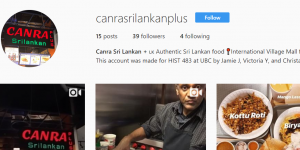 We chose to curate an Instagram account (@canrasrilankanplus) to share the inspiring stories that the owners shared with us and make a platform on a social media channel that can help them reach new clients. The challenge was to pull together a coherent narrative of the stories of the restaurants' location, who works there, who eats there, and what the cuisine meant culturally and as a commodity in relation to the concept of "authenticity". 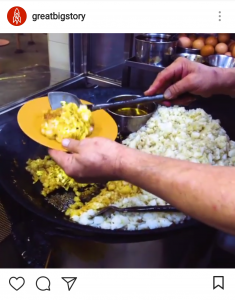 Many Asian immigrants come to Canada through the restaurant and food industry. 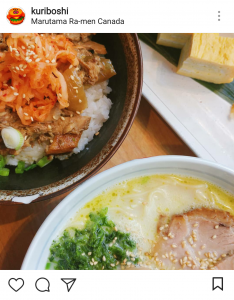 In this way, food is a tool that one uses to navigate a new country while finding a place to belong within Asian-Canadian communities and in the wider context of Canadian society. In addition to the 2 videos I filmed and edited below, I also created photo posts to showcase menu items and fun facts about Sri Lanka. I am an avid Instagrammer and as the use of digital mediums is now integral to university classrooms, I believe there are many lessons to be learned from using social media. When social media is used right, it is an excellent medium that makes academic knowledge more accessible. In particular, writing for social media prompted me to think of ways to explain complex issues of Asian identity and authenticity in plain language for an audience outside of my professor and academic peers. Instagram is picture and video-based and limited to 1 minute per video. To approach this challenge of adapting our research and interviews into half-minute videos that would catch our audiences' attention, I drew inspiration from my own experience with Instagram and my favourite microjournalism pages: Humans of New York and Great Big Story. Storytelling and my role as a mediator who connects viewers to the interviewee's life experiences and world view. We spent around 13.5 hours on this project to present a final product of 15 posts - 3 minutes of video and 13 photos. Most of the themes we wanted to convey came about after we had already filmed hours of footage. 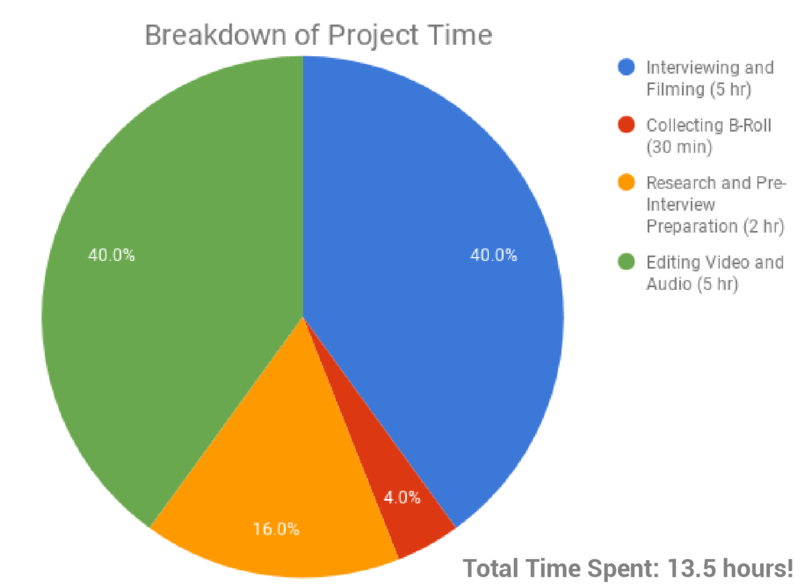 However, story boarding and more planning prior to filming would cut down the amount of time we had to spend filming and sifting through the footage. Reflecting on this, it would have been better to set up our equipment and casually chat with our interviewees for at least an hour so they could get used to the presence of a camera and voice recorder. As well, we could have shared our own experiences in relation to the interview questions to break the ice. In response to feedback from our professor, there were a few thumbnails that could have used brighter colours, higher contrast of subject vs blank space, and framing of the subject to attract viewers to tap on the post. Placement of the thumbnail on the overall grid could also have been more strategic to direct viewers' eyes to start at certain posts first. 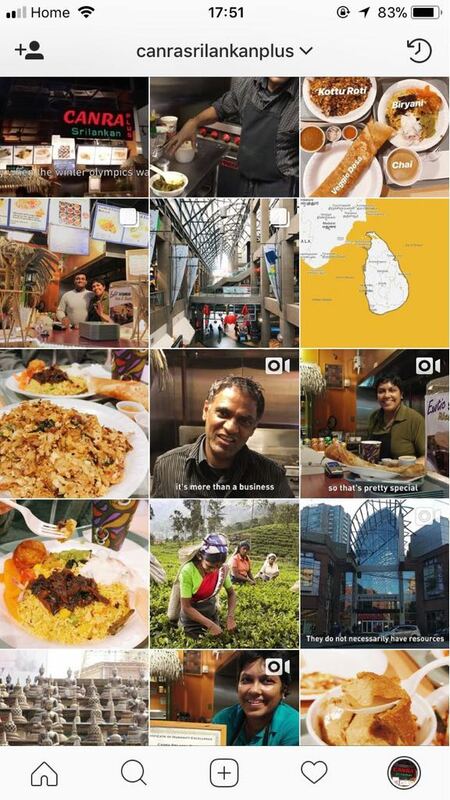 Interviewed the co-owners of the Canra Sri Lanka Plus restaurant to share their personal stories, mission, and food through short videos and photos on Instagram. Wrote a consent form to describe the study, potential risks and benefits, and confidentiality rights in order to fully inform interviewees of their role in the project. Edited short videos to share a testimonial from a customer of Canra Sri Lanka Plus and the co-owner's philosophy on Adobe Premiere. 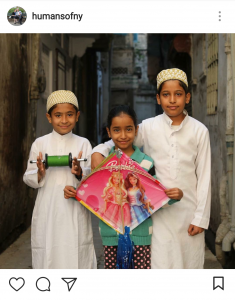 Crafted Instagram posts with attention to eye-catching thumbnails and concise captions to advertise Canra Sri Lanka Plus to clients.